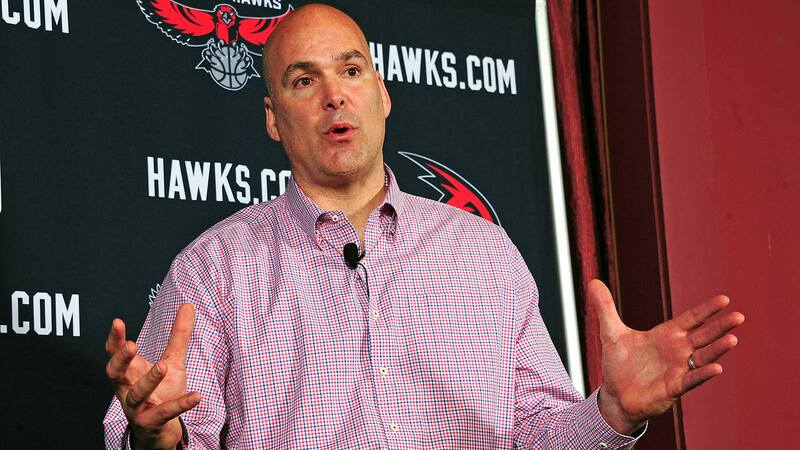 Danny Ferry is getting a second chance to help build an NBA franchise, nearly two years after his controversial exit from the Atlanta Hawks. Ferry was hired Wednesday by the New Orleans Pelicans as a special adviser to general manager Dell Demps, who is familiar with Ferry from their time together in San Antonio. Ferry was most recently the GM for the Atlanta Hawks, whose success and balance during his tenure had some dubbing them "Spurs East." He came under fire when it was revealed he had read a racially insensitive line in a scouting report verbatim during a conference call in June 2014 and took a leave of absence from the team in September of that year. Last June, he reached a buyout agreement with the Hawks. He was ultimately absolved of any wrongdoing by an independent investigation. Before going to Atlanta, Ferry served as GM for the Cleveland Cavaliers from 2005-10 and as vice president of the Spurs between his two GM stints. The Pelicans have the sixth pick in the upcoming draft and are expected to have some financial flexibility for offseason moves.